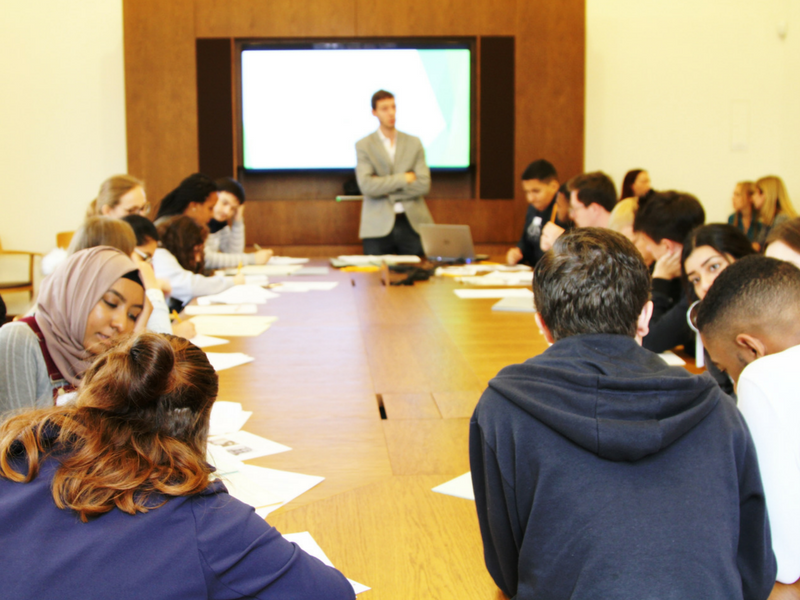 On Tuesday 31st October the Oxfam Archive Assistants attended a lecture at St Antony’s College by Princeton University’s Professor Jeremy Adelman, entitled Towards a Global History of Humanitarianism. Professor Adelman’s focus was primarily the nineteenth and early twentieth centuries, but his narrative had implications for the way we might view contemporary humanitarian agencies such as Oxfam. 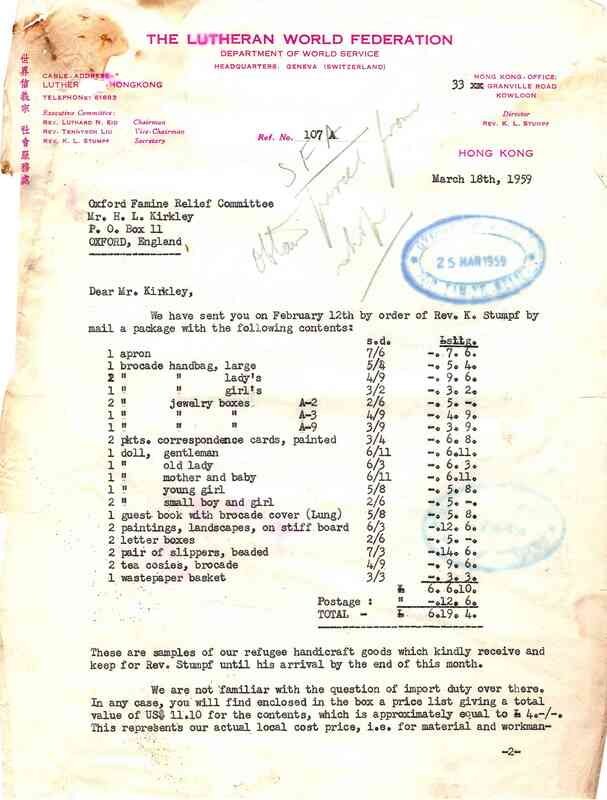 Historians have not always been kind in their assessments of international humanitarianism. Alex de Waal was broadly critical of the role such agencies have played when dealing with famine on the African continent: by supplying aid externally, he argues, they inadvertently undermine the democratic accountability of African governments, disincentivizing humanitarian intervention or crisis prevention as a way of preserving political power. To an extent, Adelman spoke in a similar vein: abolitionists may have helped stimulate the rise of humanitarianism in the nineteenth century but colonial penetration itself was often justified in terms of humanitarian intervention, where the white settler was morally and ethically obliged to ‘civilize’ the unsophisticated ‘native’. Humanitarian discourse, Adelman argued, is by its nature racialized, and it invariably reinforces the self-image of Western nations as occupying the apex of a civilizational hierarchy. 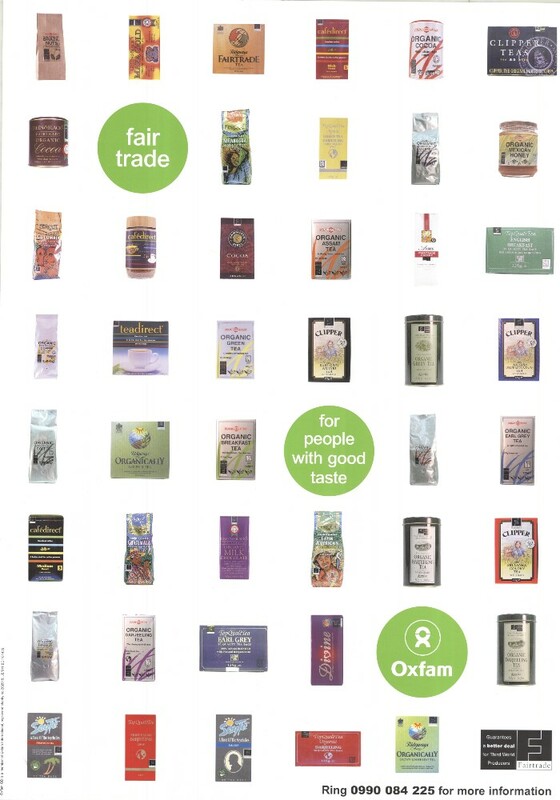 This might seem somewhat damning of all Oxfam does and stands for. However, Adelman also spoke of a ‘sympathy for strangers’ which grew out of increasing global connectedness and integration as telegraph cables, railways and steamships curtailed the spatial and intellectual distances between disparate peoples. 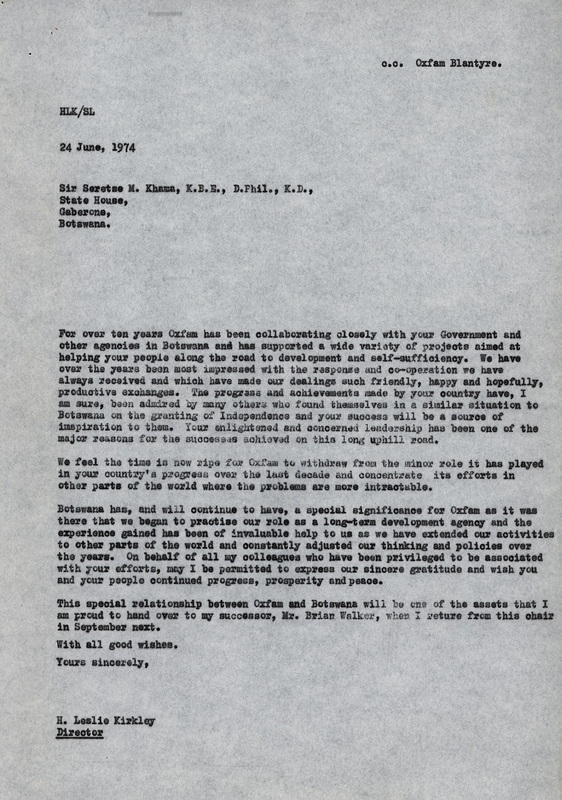 The camera was, according to Adelman, a fundamental technological innovation in this respect and the relationship between photography and humanitarianism has in many ways been central to the development of charities like Oxfam. Borrowing from Susan Sontag, Adelman suggested that ‘moral witnesses’ – i.e., photographers – record public memories of pain, creating a connection between the ‘victim’ – the subject of the photograph – and the viewer. In the 19th century missionaries armed themselves with Kodak cameras, and by producing lantern slide shows of their experiences in foreign climes hoped to raise money for future missionary work. But in the Congo Free State, rendered a personal possession of King Leopold of Belgium in 1885, missionaries began to use their cameras to record atrocities committed against Congolese rubber plantation workers. In the face of international scrutiny – which admittedly was somewhat more self-interested than compassionate – King Leopold was forced to cede Congo as a personal asset. It could certainly be argued that such photographs exploited the pain of others, titillating public interest at home without any true empathy for or understanding of the Congolese people. According to Susan Sontag, the ‘knowledge gained through still photographs will always be some kind of sentimentalism, whether cynical or humanist’. But the power of the photograph to reinforce moral or empathetic feeling can be – and has been – used for the genuine betterment of others. 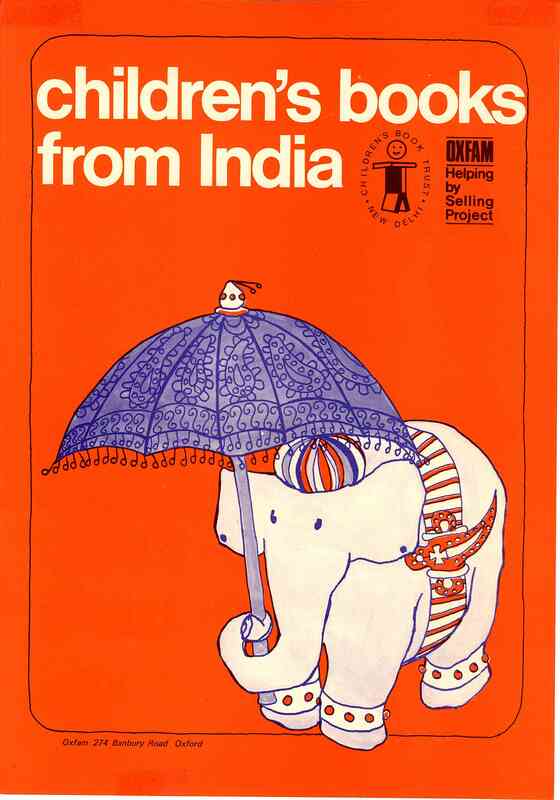 From 1957 to the early 1960s Oxfam sent simple Christmas ‘appeal’ cards to its donors, featuring a simple ‘thank you’ message and photographs of individuals helped by the charity. 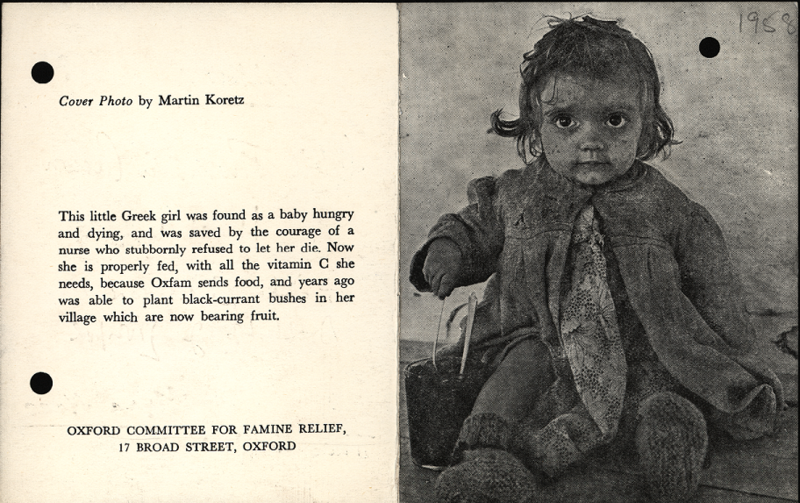 A card from 1958 showed a huge-eyed little girl, sitting wrapped in a coat and woollen socks with a spoon stuck into a beaker of food. The caption read ‘This little Greek girl was found as a baby hungry and dying… Now she is properly fed… because Oxfam sends food, and years ago was able to plant black-currant bushes in her village which are now bearing fruit.’ This photograph does not simply broadcast the pain of strangers. It broadcasts hope, and promises resolution through charitable action. While a healthy scepticism and constructive interrogation of the conduct of international agencies is to be encouraged, we should be careful not to overlook and devalue the charitable efforts inspired by genuine ‘sympathy for strangers’. As an Archives Assistant spending the next twelve months helping to catalogue the Oxfam Archive, I probably shouldn’t admit how woefully ignorant I was of Oxfam before I started. I knew their shops sold cheap books and nice Christmas cards. I knew you could buy someone a goat or a toilet for Christmas, and that this goat or toilet would go to someone who lived somewhere without a sewage system or a supermarket selling pasteurized milk. 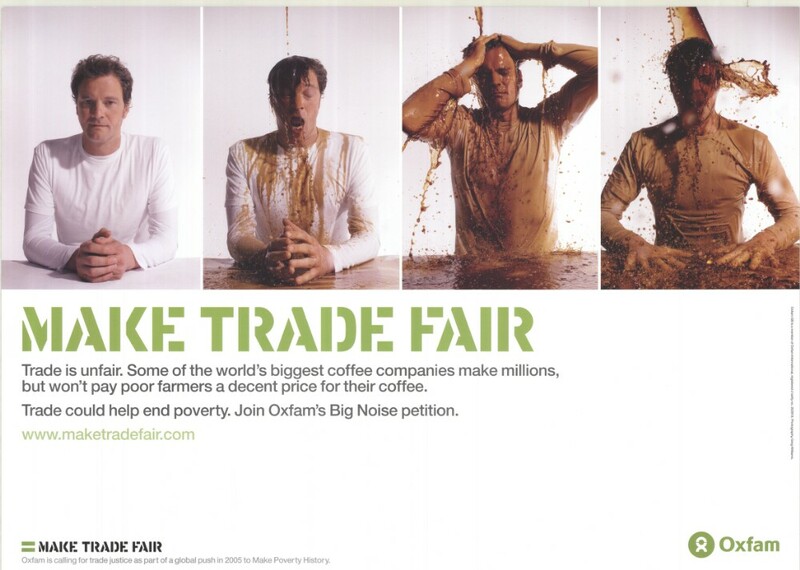 But beyond this, I’d never really stopped to think who ‘Oxfam’ were and what they meant. 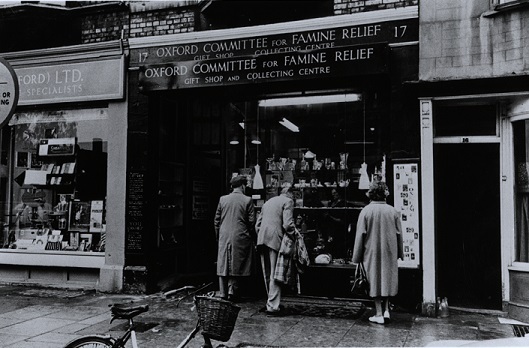 It came as a surprise that ‘Oxfam’ wasn’t just a made-up word but came from Oxford Committee for Famine Relief, and that a charity which was born in one small city has spread its offices and infrastructure across the globe. I’ve learnt a lot in the two months since I started. But Oxfam’s 75th birthday party, held in Oxford’s town hall on Friday 6th October, taught me a lot more. 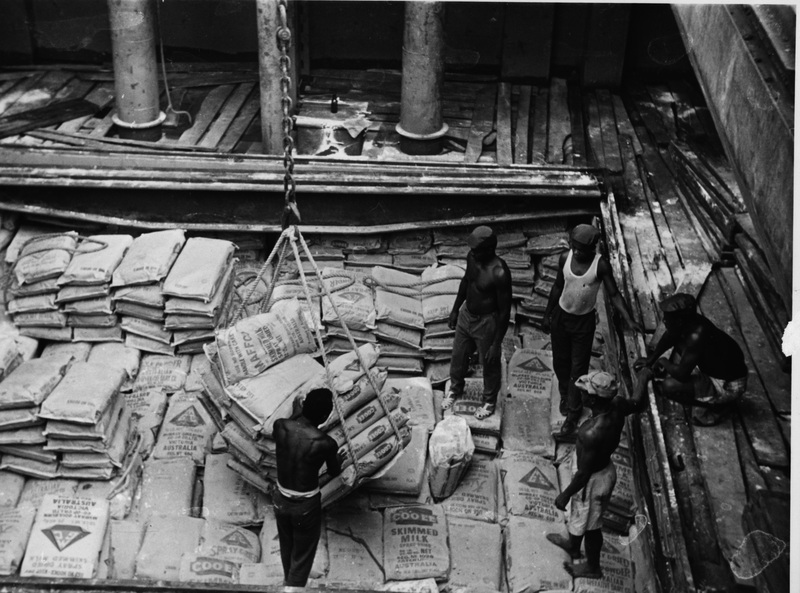 At the Bodleian we were involved with preparations for the 75th anniversary in a low-key way, answering enquiries from Oxfam staff regarding photographs which would be used in exhibitions and slideshow presentations. 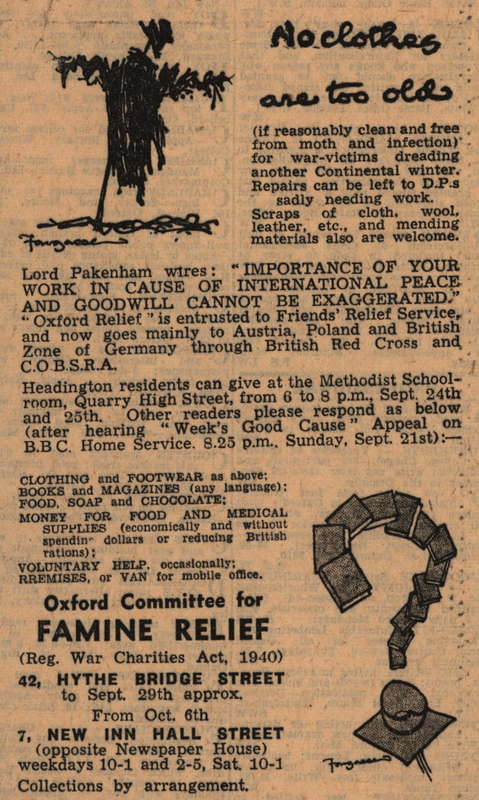 Between the 4th and the 6th October there were also opportunities for Oxfam staff and volunteers to view some of the highlights of the Oxfam archive in the Bodleian, and this proved a learning experience for me as well. Through objects such as a scrapbook documenting fundraising and a damp-gnawed but still-legible gift-shop cashbook from 1948-9, I realised the importance of innovatory and motivated figures like Robert Castle and Joe Mitty, who respectively established the first permanent Oxfam shop and helped make the charity-shop phenomenon what it is today. A particularly memorable entry in the cashbook was simply ‘Dog’, which sold for 5 shillings – we presume the dog was ornamental, especially as an ‘Elephant’ was also sold at around the same time! The anniversary celebrations themselves took place on Friday 6th October in Oxford’s Town Hall. We were treated to cake and tea in the Assembly Room, and then moved into the ornate Main Hall where the Oxfam choir sung us into our seats. The full hall made me realise not only the importance of Oxfam as a UK employer, but also as a social institution which generations of people have grown up with. 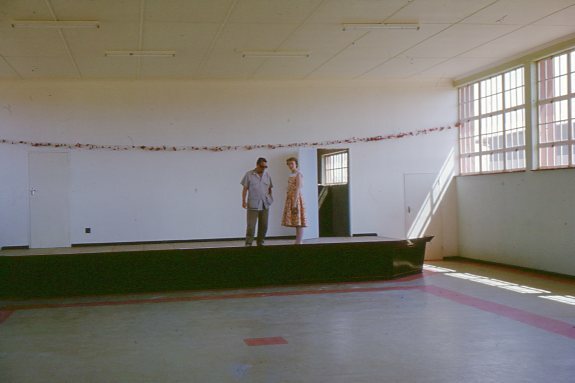 Many of the volunteers were elderly, but a gurgling baby at the back of the hall indicated that the Oxfamily spans all ages. 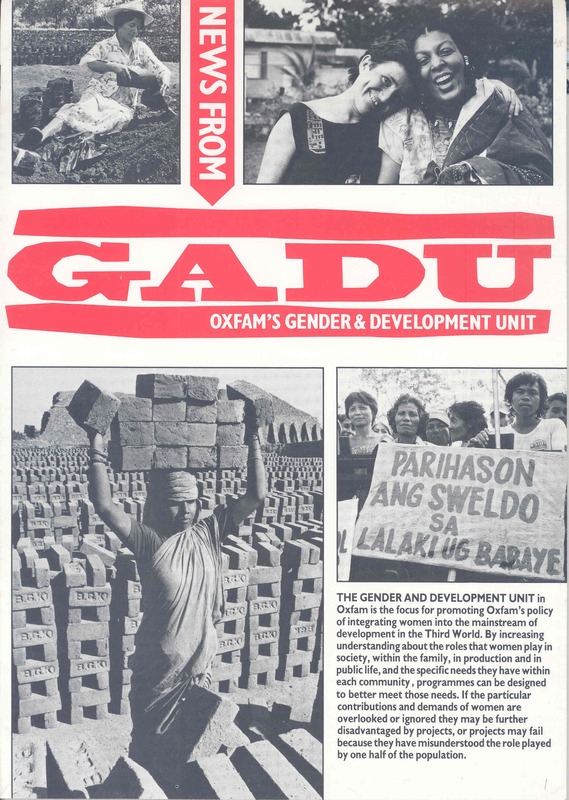 My job is to catalogue Oxfam’s project files, bundles of correspondence, receipts and reports which document how development work plays out on the ground. This is what Stan Thekaekara, founder-director of trade model ‘Just Change’ and one of the evening’s speakers, would call the ‘worm’s eye view’. I was much less aware of the ‘bird’s-eye view’, the need for an overarching vision and policy and the tension that can result between the bird and the worm, between the decision-makers at home and the boots on the ground. 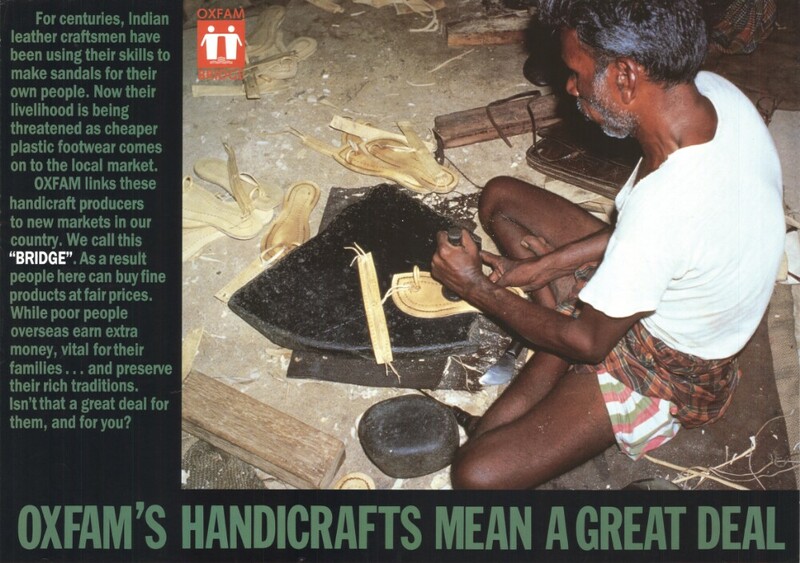 This was something discussed by the panel hosted by Duncan Green, strategic advisor at Oxfam GB. The panellists debated the need to reorient the global economic system away from exponential growth and a capitalistic zero sum game, but also the importance of listening to the communities worst-affected by this system and providing them with the knowledge that could help improve their lives. In a discussion on the future of Oxfam, Mark Goldring (Oxfam GB’s Chief Executive) suggested this focus on communities was already being embodied by Oxfam International, the worldwide confederation of Oxfam affiliates. Oxfam International Executive Director Winne Byanyima was optimistic as she announced that Oxfam International’s headquarters would shortly be moving to Nairobi, and the celebratory talks concluded with reiterations of Oxfam’s commitment to end poverty. While the optimism and passion of the speakers was inspiring, I couldn’t help but notice the tragic irony of the fact that, twenty-five years ago, Oxfam’s 50th anniversary celebrations were overshadowed by the influx of Rohingya Muslims into Bangladesh, and that 2017 has witnessed renewed attacks and allegations of genocide by the Myanmar authorities. Despite Oxfam’s energy and determination, I can’t help but think that, while human hatred continues to fuel governments, human suffering will not be easy to uproot. How can we define humanitarianism? What motivates humanitarian actors like Oxfam and the Red Cross? How have relief and development organizations competed and collaborated to mitigate suffering from conflicts? Is political neutrality feasible or necessary? These and other questions will be addressed in the symposium, ‘War, Health and Humanitarianism’ on 16 June in the Weston Library Lecture Theatre, which brings together historians studying conflicts from the medieval period to the present day. Speakers will include Dr. Rosemary Wall, Bodleian Library Sassoon Visiting Fellow and Senior Lecturer in Global History at the University of Hull, whose current research focuses on conflict in Cyprus, Vietnam and Nigeria in the 20th century and British and French humanitarian responses. 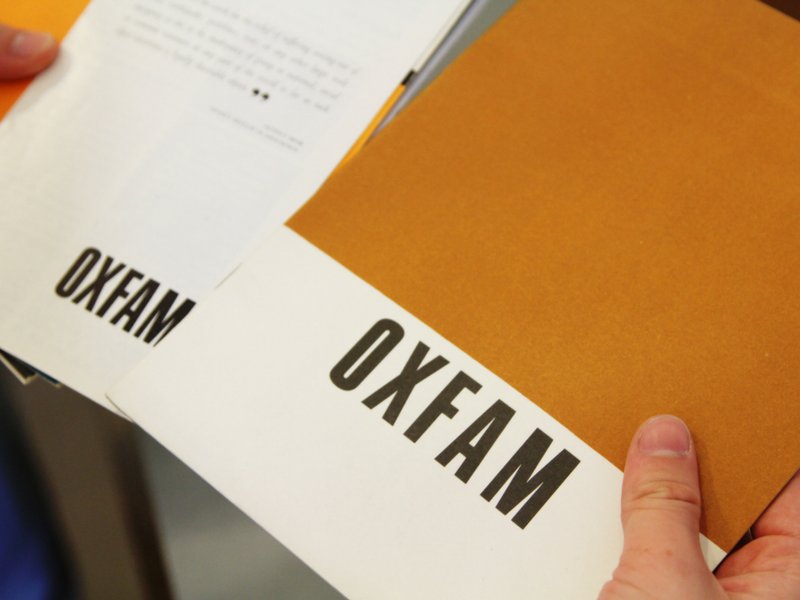 Oxfam’s first minute book, recording the founding of the organization on 5 October 1942 in response to suffering behind the Allied blockade in Greece and other occupied countries, is now on display in the ‘Bodleian Treasures’ exhibition at the Weston Library and online. The exhibition brings together some of the most iconic documents from the Bodleian’s collection of 12 million items, displayed in pairs. The Oxfam minute book is paired with a Poetical Essay on the Existing State of Things by ‘a Gentleman of the University of Oxford’ identified as Percy Bysshe Shelley (1792-1822). This poem against war and tyranny was published by the 18 year old Shelley in 1811, shortly before his expulsion from Oxford for publishing a pamphlet on atheism. 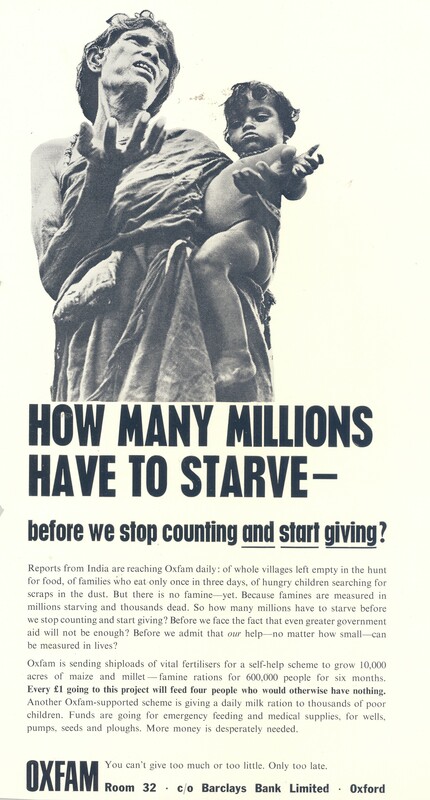 As we near the 75th anniversary of that crucial meeting in the University Church later this year, we expect renewed interest in the origins of Oxfam. The first minute book will no doubt be revisited! 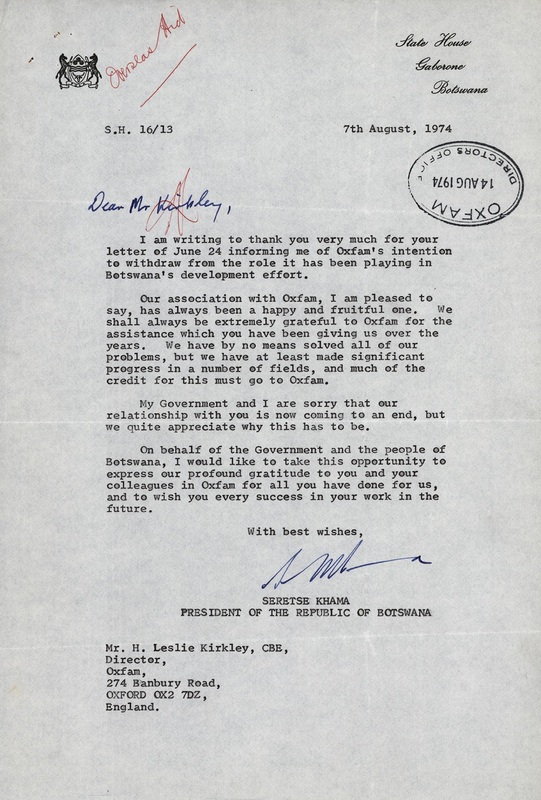 The recent release of ‘A United Kingdom’, a film about the inspiring true story of Sir Seretse Khama, the first president of Botswana, and his British-born wife, Ruth, got us thinking about Oxfam’s links with the country. Director Amma Asante’s film opened the BFI London Film Festival in October, and tells how Khama, who was chief-in-waiting of the Bamangwato people of Bechuanaland (later Botswana), met Ruth Williams, an office clerk, while studying law in London in the 1940s. 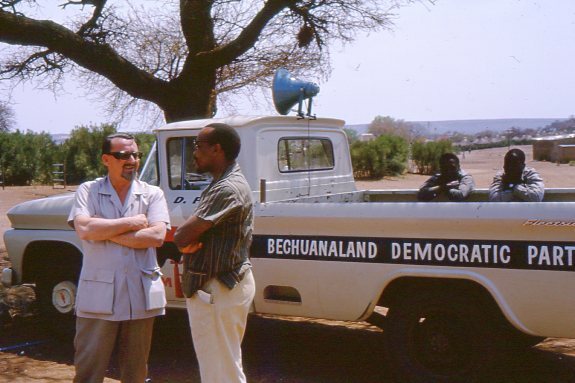 Despite opposition to their interracial marriage from the British Government, apartheid South Africa, and initially, tribal elders in Bechuanaland, Khama went on to to be the democratically-elected premier of his country, overseeing its independence in 1966, and a long period of economic growth and development. 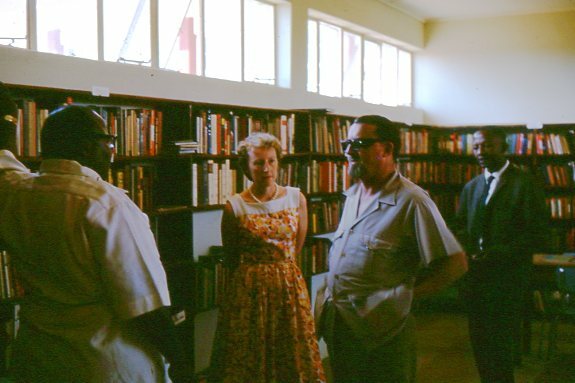 Three photographs recently donated to the archive show the Khamas and Jimmy Betts in 1964, visiting a community centre in Serowe, Bechuanaland, built with Oxfam’s assistance. ‘A United Kingdom’ is currently in cinemas. 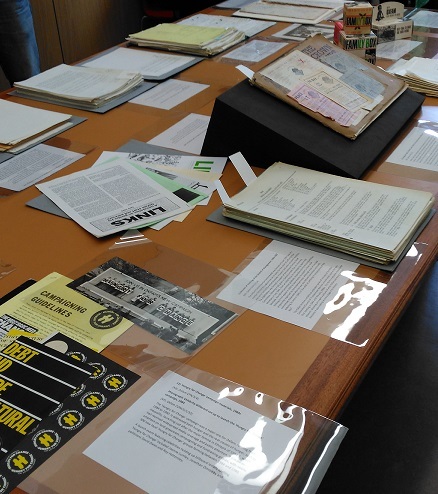 Over the summer the Archives and Modern Manuscripts Section hosted five interns who worked on various projects . The Oxfam team was lucky enough to have two of them: Elena and Gabriel. Gabriel Lawson, reading History at Lincoln College, and Elena Müller, MPhil graduate in Modern Jewish Studies from Lady Margaret Hall, had both applied for internships organized and funded by the University of Oxford Careers Service. They did sterling work for us over their six week stint and helped enormously with our ongoing ‘project file’ cataloguing work as well as sorting programme reports, and appraising and repackaging photographic material, which will all make up a part of our Phase 2 catalogues due to be released in the New Year. Project files make up over half of the Oxfam archive. They arrive with us from the Oxfam Logistics Warehouse in large containers, each filled with 3-4 cases brimming with files relating to projects funded and carried out in all areas of the world. With advice and guidance from the Oxfam Project team, Elena and Gabriel managed to appraise 1,911 files between them, deciding on which to keep and which to discard. Those they kept, they catalogued, filling 359 of our ‘archival blue boxes’. Their contribution takes us much closer to our end-of-year targets than we would otherwise have been! 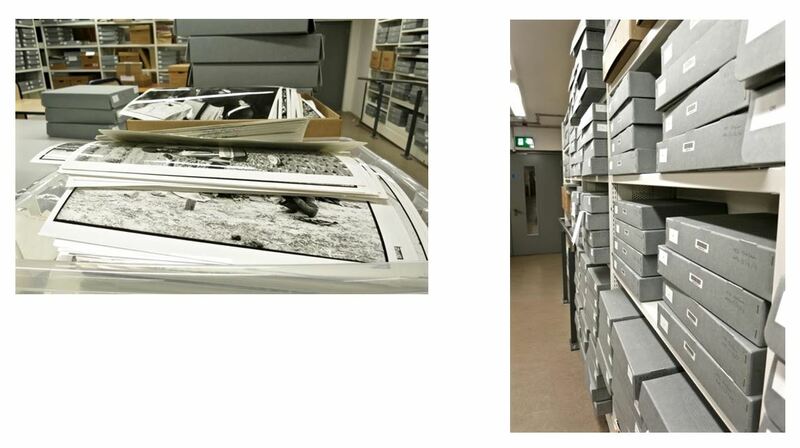 The interns also helped with the appraisal of photographic prints from the 1990s, weeding out duplicate and poor-quality photographs, as well as generic shots which did not relate to Oxfam or its work. 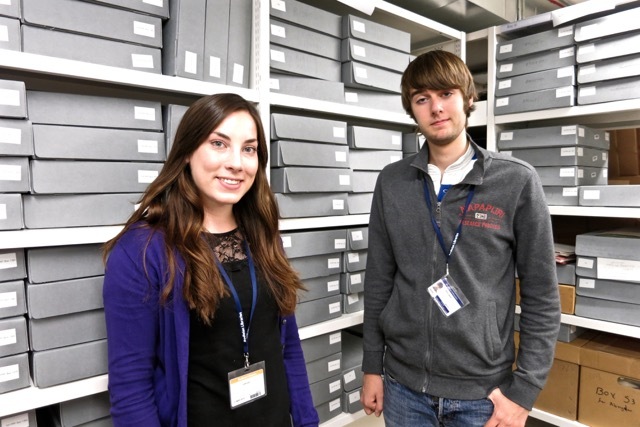 Both Elena and Gabriel felt that their time with the archive had helped them to view research in a slightly different light, having gained an appreciation of the work done by archivists in selecting, describing and making archives available to researchers. 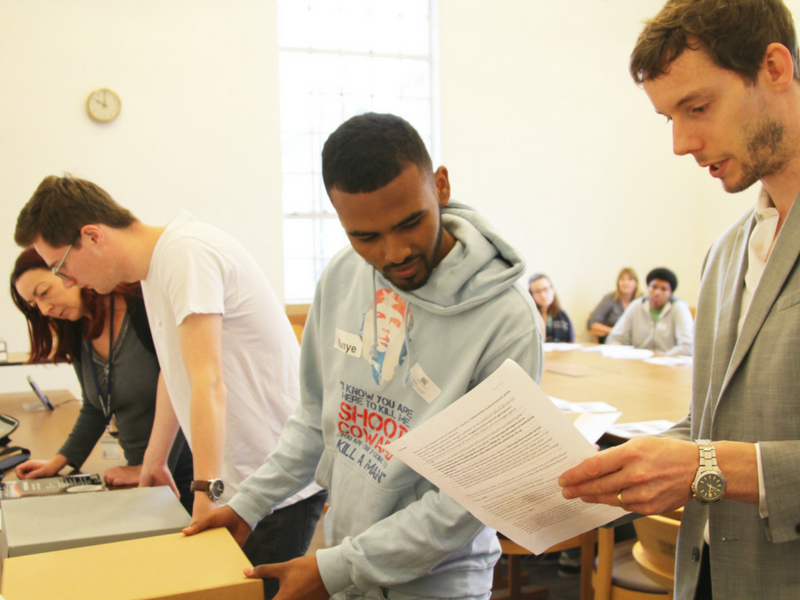 Last month we celebrated International Archives Day with Oxfam’s first minute book. 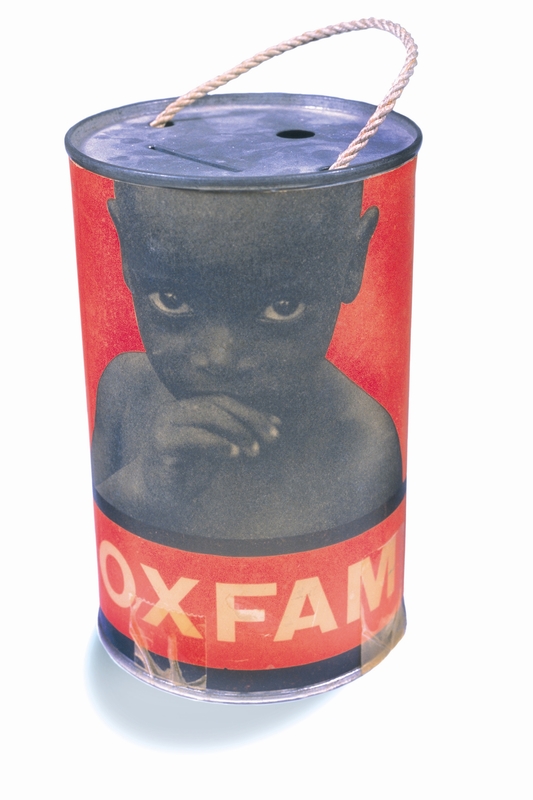 It reminded us that the make-up of the small group that founded Oxfam has often been debated. 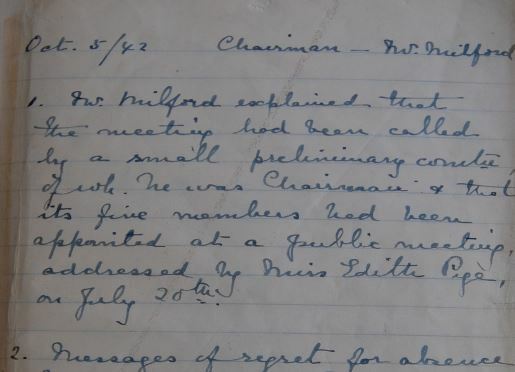 The answer could be seen as simply a list of those attending the first meeting on 5 October 1942 that brought the Oxford Famine Relief Committee into being. However, no such list exists and the minutes of that meeting mention only three people by name as being present – Rev. T. R. Milford (Chairman), Professor Gilbert Murray and Mrs. White. 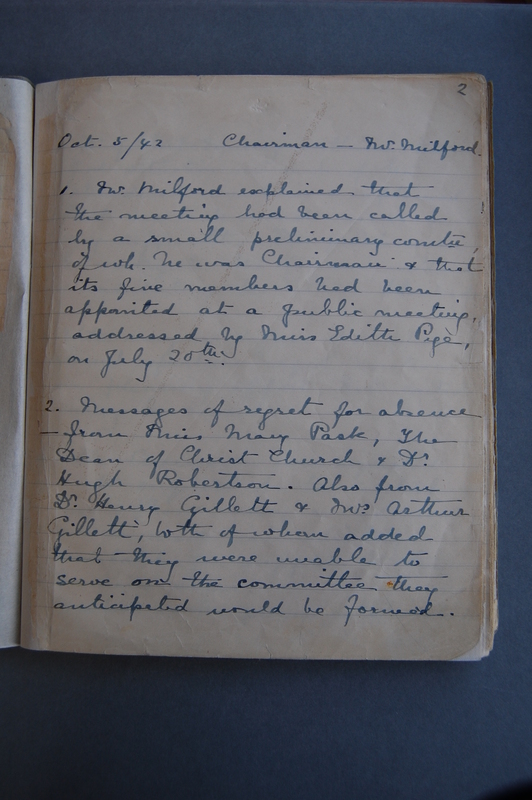 A list of names on the first page of the minute book, probably of those appointed at the public meeting, but with numerous later amendments, suggests that it is likely that the following were also present on 5 October: Miss Margaret Macnamara, Assistant Hon. Secretary, Sir Alan Pim, Hon. Treasurer, Wilson Baker, Mrs. Kathleen Compton-Ford, Rev. F. Greaves, R. V. Holt, Dr. Leo Liepmann, Rev. H. R. Moxley, Lady Mary Murray, and Nowell C. Smith. At the second meeting on 11 December 1942 it was reported that the Hon. Secretary, Mary Pask (who had sent apologies to the October meeting) and the Assistant Hon. Secretary, Miss Macnamara, had resigned. The Chairman introduced the new Hon. Secretary, Cecil Jackson-Cole. Jackson-Cole, businessman and philanthropist, later the founder of charities including Help the Aged and Action Aid, became the driving force behind the work of the Committee by various means including his innovative use of advertising. He continued as Hon. 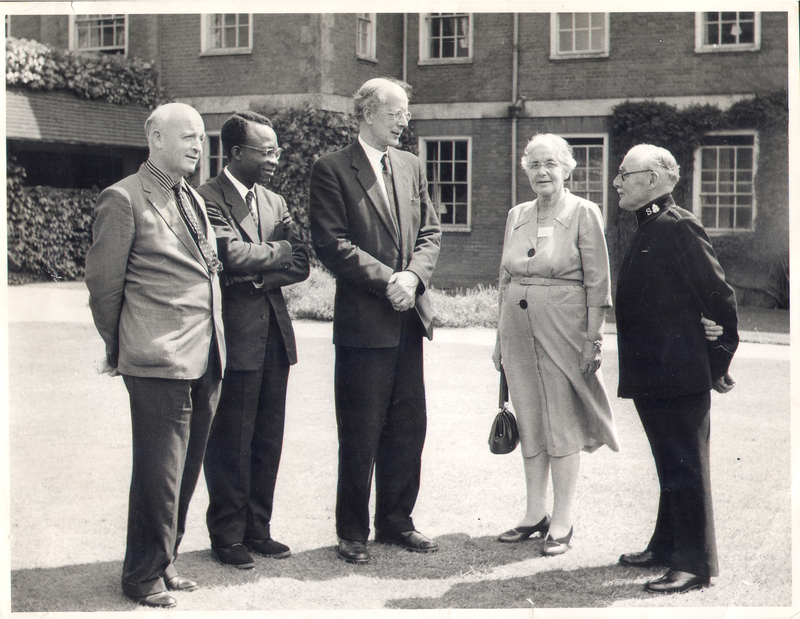 Secretary and later Secretary Emeritus with the Committee (Oxfam from 1965) until his death in 1979.